It feels like just yesterday we met Chelsey & Jon for their engagement session and now on Sunday they will be getting married!! We have been looking forward to this day ever since we first talked to them on Skype! They are such a fun couple and compliment each other so well. We shared some great conversation and laughter during our time together last summer! Their wedding will be held at The Boathouse at Sunday Park. 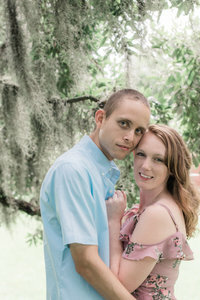 If you enjoyed viewing this Fort Monroe Beach Engagement Session, take a look at our other engagement sessions! We include a complimentary engagement session with all of our wedding collections! Contact us for more information.